Technical issues stopped yesterday's launch. Battlefield 5’s first Tides of War update, Chapter 1: Overture, has been delayed. The update was meant to launch on December 3, but it’s yet to appear. The team encountered a last minute issue, so DICE is holding off until it’s fixed. DICE announced the delay on Twitter yesterday, but there’s been no more news on the update since then. 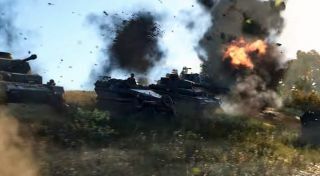 It’s a beefy update, too, throwing the new Panzerstorm map, The Last Tiger war story, vehicle customisation, the practice range and new weekly missions into the war-torn shooter. Unfortunately, you’ll just have to be content with this trailer for the time being. DICE also hosted a livestream, giving us a sneak peek at some of the new stuff coming to the game. You can watch the recording over on Twitch. We'll update this story when Overture appears.